On Monday we published the iPhone Life Bloggers' Awards: Best Apps of 2013. You may have noticed a very important category was missing—gaming apps! That's because they're so important that they needed their own roundup. Bloggers voted for their favorite gaming apps in six different categories. Here are their favorite three gaming apps of 2013 for each category! We know you've come to rely on the bloggers at iPhoneLife.com for helpful reviews of all the best offerings in the App Store. With over 1 million apps for your iPhone and over 475,000 apps for your iPad, deciding which apps to download can be overwhelming. That's why we asked all of our bloggers to vote for their favorite apps released or updated in 2013. Here are their top three in seven categories! 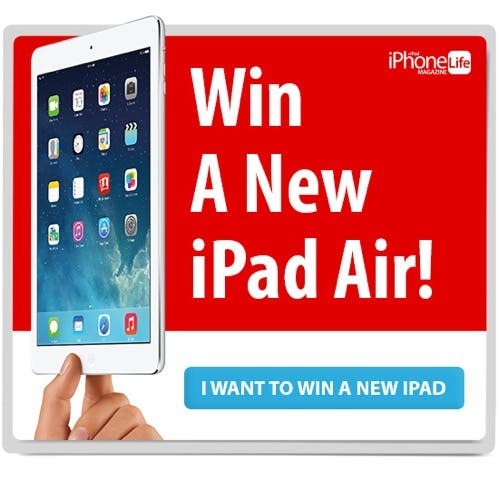 We Want to Give You a Free iPad Air! If you’ve been following us on iphonelife.com, you know that we like to give away great cases, tech gadgets, and awesome apps in our bi-weekly contests. This time, we’re kicking it up a few notches and giving away a new iPad Air for free! And you can have an unlimited number of entries in the contest! 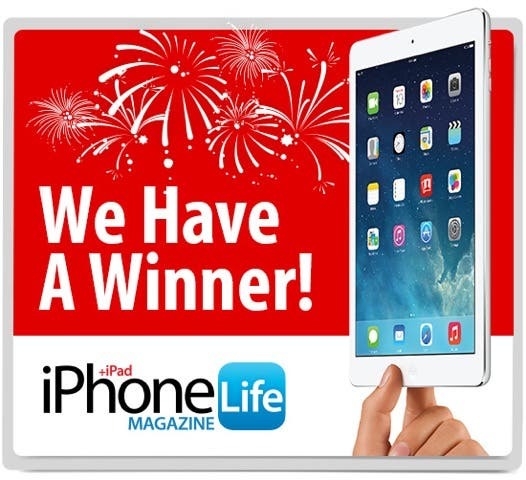 Read more about We Want to Give You a Free iPad Air! Vote Now in the iPhone Life Photo Contest: Voting Ends Nov. 4! Vote now in the iPhone Life iPhone Photography Contest! The deadline is Monday, November 4. Click HERE to choose your favorite images. The top 10 photos will be featured in the January-February issue of iPhone Life magazine. Don't worry if you can't choose just one; you can vote for as many photos as you like. You can only vote once per day for each image though, so make sure you vote every day from now until the contest closes at 11:59 p.m. on November 4! Read more about Vote Now in the iPhone Life Photo Contest: Voting Ends Nov. 4! Today is the big day! At 10 a.m. Pacific Time, Apple CEO Tim Cook will put all those rumors to rest once and for all as he takes the stage at the Yerba Buena Center for the Arts in San Francisco. 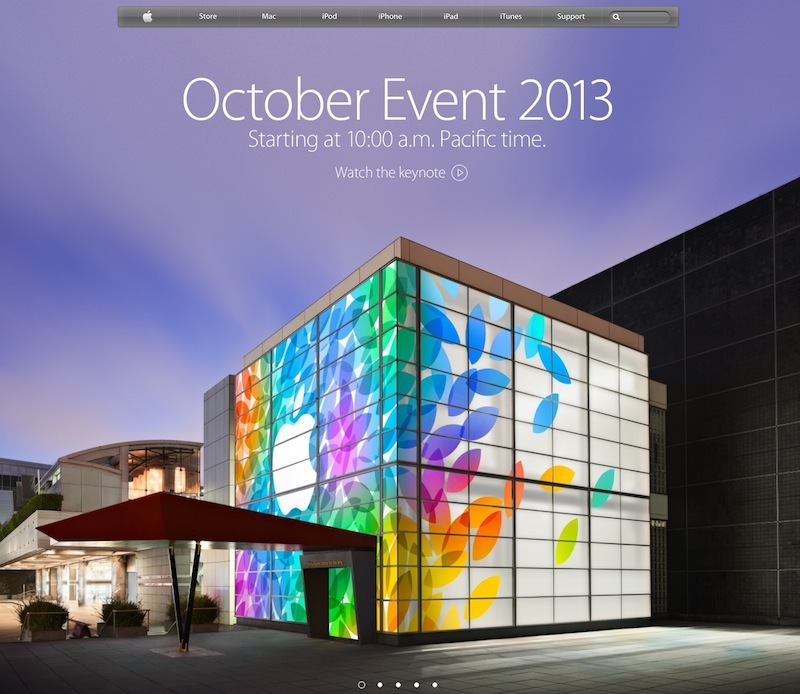 And this time they're livestreaming the event! Soon we will know whether the 5th-generation iPad will have Touch ID, if there will be a second-generation iPad mini with Retina display, whether Apple TV is getting an update, and whether “We still have a lot to cover” includes an iWatch. Join the Team: iPhone Life Wants You to Blog for Us! Do you have a lot to say about your iPhone, iPad, favorite apps, or iOS 7? Why not join the iPhoneLife.com blog team? We are looking for talented writers and iOS enthusiasts to cover a wide range of topics including Tips & Tricks, How-To’s, Opinion, News, Reviews, Entertainment, and more. Read more about Join the Team: iPhone Life Wants You to Blog for Us! Two weeks ago, I took over the job of web editor of iPhone Life magazine, replacing Donna Schill Cleveland, who has moved on to a new and exciting project with the magazine. (Stay tuned!) Since then, I have immersed myself in the site, exploring what kind of content is relevant and exciting to our loyal readers. The world of mobile technology is rapidly growing and changing, continually transforming the way we interact with information and each other. The way we work, learn, take and share photos, enjoy music, travel, track our finances and our fitness, watch TV, and play will never be the same. At times it seems like it doesn't stay the same for even five minutes. Someday when we tell our grandkids about all the world-changing technology we are currently privileged to enjoy, they will look at us the way that our kids did when we told them how exciting it was to get our first VCR or cordless phone.